Key question answered in this post: "What were the forces that made possible the Business Leadership Program (B.L.P.) at U.P.S. over thirty years ago?" 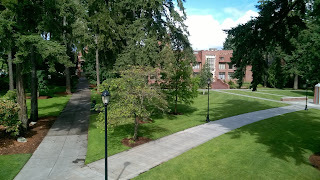 I presented the paper at University of Puget Sound (U.P.S.) on June 9. The B.L.P. is very alive and well today. A longer post than usual because the case is worthy of consideration by college faculty, students, and the business community in general. My goal is to present the major factors leading to the B.L.P. Step 1: an initial link was formed between the Business School and the Humanities Division. Here’s the story of how that happened. When I first arrived on campus as a new ethics professor in late summer, 1969, Professor Robert Albertson, Director of the Humanities Division, walked me across campus to the School of Business. In the office of the director, Albertson said, “Tom, here’s your new business ethics professor.” Maybe Thomas Sinclair was surprised. I suspect so. Prof. Sinclair said “Alright!” He offered to team-teach the course. Tom and I team-taught Business Ethics until he retired in 1972. That pleasant partnership was the seed that would develop into the B.L.P. Much was happening just then in the Business School and in the university. Philip Phibbs assumed the presidency of the university in 1973. Soon, he posed a planning issue for trustees and faculty: “What do we want the University to become?” He sketched two basic choices: 1, to grow in size to become a version of the University of Southern California, or, 2, to grow in quality as a small liberal arts college. Faculty and trustees deliberated and within a year or so decided on the high quality-small size option. President Phibbs led us toward the goal of a higher quality liberal arts institution. Step 2. After a couple of semesters, Waldo and I dreamt about expanding on our team-teaching partnership into a larger track of some sort. Gradually we focused the question: “Can we design an undergraduate program with core business courses and liberal arts education for outstanding students?” We developed three benchmarks: business courses, liberal arts thinking skills and heritage, for a limited number of highly qualified students. With our proposal in hand we met with President Phibbs and Dean Tom Davis. We knew we’d get nowhere without their support. To our relief, the President and Dean responded enthusiastically. They felt the dream proposal fit well within the university’s goal of high quality education and directed us to devise a curriculum for the new program. To that end, Dr. Waldo approached a key history professor with the idea that B.L.P. students should learn the history of business from the History Department. Professor Walter Lowrie agreed to develop a European history course with an emphasis on business history. The Curriculum Committee approved this course. At that point, we had two unique courses designed specifically for the B.L.P.--the ethics course and the history course. We added certain specific business courses, particularly Accounting and Finance. The partnership of Business and Humanities was in full swing toward fulfillment. It wasn’t just an assortment of courses. Courses were carefully designed means to ends: capable communications, written and oral; critical thinking concerning business responsibilities in democratic societies; competence in numerical disciplines like accounting and finance; and an understanding of leadership. Step 3: We put the plan before the Business Administration faculty. They approved. Then we took the plan to the Curriculum Committee of the University. We were tensed up, knowing that faculty tend to guard thei own academic specialties. To our relief, Curriculum Committee members approved the B.L.P. proposal. Steps 4 and 5: We still needed students! We developed recruitment strategies with the Admissions office. The goal was to recruit twenty incoming freshman students. Admissions began announcing the opportunity to advisors in high schools. At this stage, President Phibbs guided Prof. Waldo and me to secure start-up funding and referred us to potential contributors. I remember the day that Bob and I met with the President of Rainier Bank, high up in his Seattle headquarters tower. This man became an enthusiastic supporter of the B.L.P. concept. His bank donated a substantial grant toward start-up expenses. Soon, Admissions had some student candidates to recommend. I have a clear memory of meeting one of them, a high school senior named Tim Hinthorn. We met in a Salem, Oregon restaurant. Tim became the first to be admitted into the new Business Leadership Program. We also recruited business mentors to work with our B.L.P. students on a one-to-one basis. The first of these was Phillip Barr, a Weyerhaeuser executive and my neighbor. An advisory committee of business people was also formed. Finally, the program was off and running. 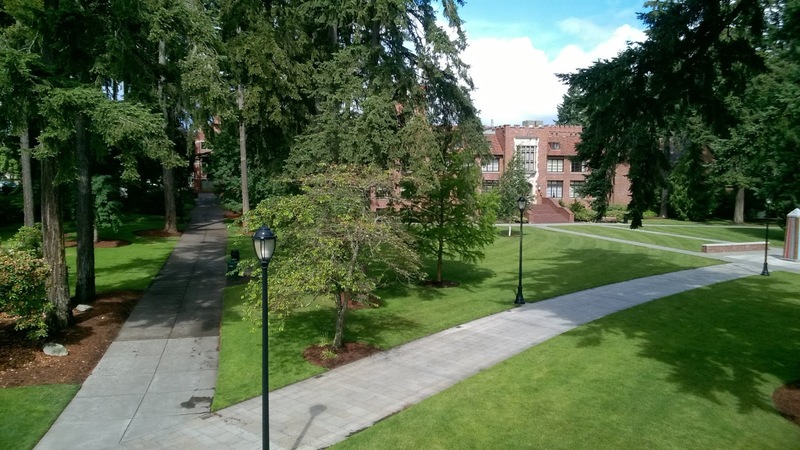 I’m delighted that the program endures as a valued part of the University of Puget Sound under the leadership of its director, Professor Alan Krause. Very best wishes to each B.L.P. student and graduate and to each B.L.P. faculty member, and long live the B.L.P. !